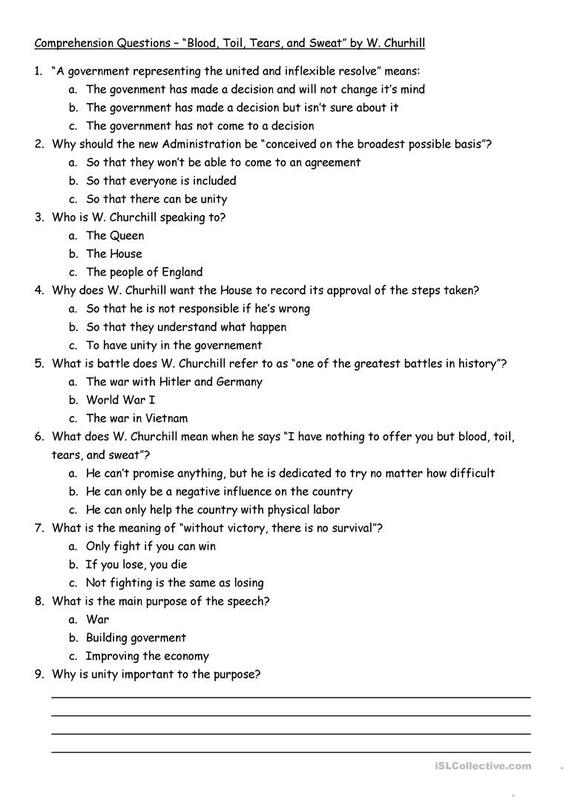 Comprehension questions for reading Winston Churchill's speech "Blood, Toil, tears, and Sweat"
The above downloadable printable is meant for adults at Intermediate (B1) and Upper-intermediate (B2) level. It can be used for improving your pupils' Reading skills. principessa11 is from/lives in Italy and has been a member of iSLCollective since 2011-11-25 14:40:21. principessa11 last logged in on 2019-03-01 12:22:29, and has shared 1 resources on iSLCollective so far.